Canberra is known for museums, childrens museums, nature, wildlife, and parks. 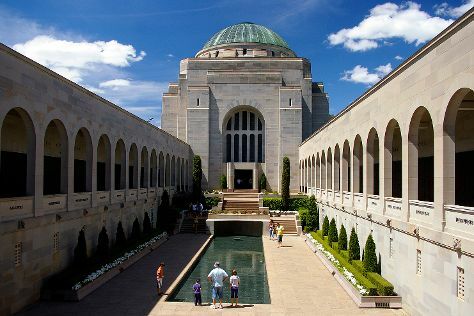 Your plan includes some of its best attractions: get engrossed in the history at Australian War Memorial, get a sense of history and politics at Royal Australian Mint, admire the masterpieces at National Portrait Gallery, and don't miss a visit to Mount Ainslie Lookout. For traveler tips, reviews, photos, and more tourist information, read Canberra online trip maker . If you are flying in from India, the closest major airport is Canberra International Airport. May in Canberra sees daily highs of 19°C and lows of 2°C at night. Cap off your sightseeing on the 27th (Mon) early enough to travel back home. Start off your visit on the 28th (Tue): get up close and personal with brilliant marine life at Sea World Theme Park. Get ready for a full day of sightseeing on the next day: get in on the family fun at Warner Bros. Movie World, kick back and relax at Surfers Paradise Beach, and then get in on the family fun at Infinity Attraction. 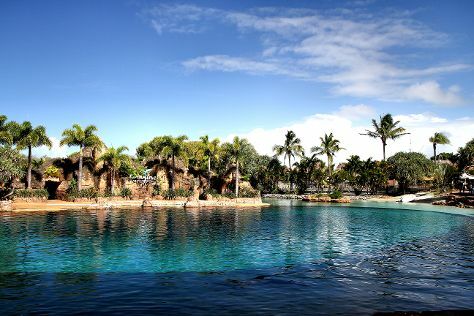 Make your Gold Coast itinerary with Inspirock to find out what to see and where to go. Traveling by flight from Canberra to Gold Coast takes 4.5 hours. Alternatively, you can do a combination of flight and train; or drive. Traveling from Canberra in May, things will get somewhat warmer in Gold Coast: highs are around 27°C and lows about 15°C. Wrap up your sightseeing by early afternoon on the 30th (Thu) to allow time for travel back home.